Clare Mulley is the award-winning author of three biographies: The Woman Who Saved the Children, The Spy Who Loved and her latest, The Women Who Flew For Hitler. 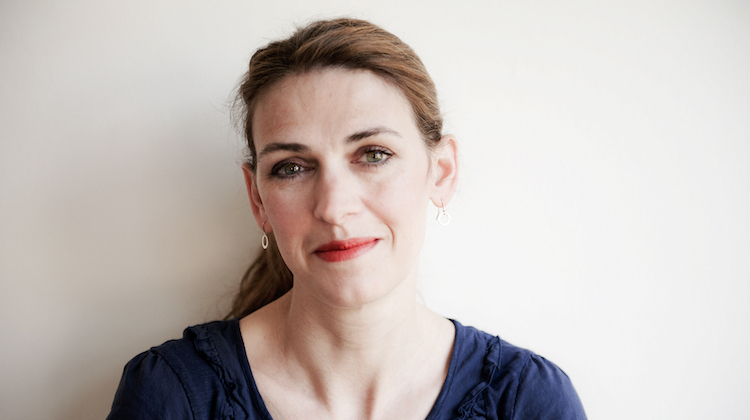 She writes and reviews for publications such as The Spectator, The Telegraph and History Today, is a busy public speaker and chair of judges for the Historical Writers’ Association 2017 non-fiction prize. Seeing the world outside distorted through the patterned panes of glass in our 1970s front door. Whenever things come together and I think, blimey, how about this, my daughter did that, someone liked my book, the right person got elected, or I’m with friends and the sun is out! Hot flushes. Cold feet. Occasionally a podcast. Tricky one. While writing my biographies The Woman Who Saved the Children, about children’s rights pioneer Eglantyne Jebb, and The Spy Who Loved, on Krystyna Skarbek, aka Christine Granville, Britain’s first female special agent of the Second World War, I had rather optimistic moments of identification with them, but soon realised it was wishful thinking. One of the wonderful things about researching remarkable people, is you discover that not only were they exceptional in many ways, but they were also profoundly normal in others. We all have a lot in common really. I identified with things like Eglantyne’s love of chocolate and Krystyna’s love of life, but I am not sure I have the courage of either woman, much as I would like to have! Of course there’s a bunch of them, from various left wing politicians, human rights activists, and anyone who has just written a really brilliant book, to all the good nurses, teachers and train drivers etc who get things done every day. But today, in early June, perhaps I most admire Ariana Grande for her response to the horrific Manchester attacks. A writer, a marine biologist, my elder sister, or possibly Wonderwoman, fighting for our rights in my satin tights. Relentless data input for BT when I first moved to London. This was far worse than cleaning the chemistry classrooms after school, or washing up in the local hotel as a teenager. Since then it’s mostly been good. I wrote my first book during the weekends over seven years while working, having three children and doing an MA in the evenings. At the time I felt that the results would have been better had I focused on one at a time, but I doubt it now. Possibly the amount of money I spend on moisturiser. Obviously I’ve been influenced by lots of wonderful books, but – honestly – the book that changed my life more than any other was the first I wrote, The Women Who Saved the Children, a biography of the inspirational Eglantyne Jebb, who founded Save the Children and pioneered children’s human rights but didn’t particularly like individual children, ‘the little wretches’ as she called them. The book was published, won a prize, and I now write for a living, and love it. Lovely. Okey dokey. Pass the potatoes. In infants I was always chosen to sit on the base of the maypole, to weigh it down. Who doesn’t want to be the May Queen? Well if not being able to cure the ills of the world in some way, how about the ability to make a perfect Sunday roast? I would love to visit the subjects of my three biographies, to get an idea of whether I managed to catch some of their spirit, as well as their decisions and achievements, the moral and emotional truths about them as well as the ‘factual’. But only as a fly on the wall. I’ve never wanted to write an ‘authorised biography’, and think meetings could be awkward. Where I am, but with some booze please. I am quite materialistic – I like ‘things’ as well as ideas, so I prefer printed books to ebooks, for example. As a result I have lots of things imbued with memory or meaning that I love. Obviously some photos of my daughters mean the world to me; as do some paintings by my mother; my grandmother’s plaits chopped off in the 1930s and given to me wrapped as a birthday present once, and my grandfather’s WW1 Gallipoli diaries; these are the sort of things I’d search the rubble for. My playlist is almost all podcasts. The house is full of my husband and children’s music and I mostly like to turn it off when they’ve gone out. When I do like music, Ian says it is often the sort that people who don’t like music like. I feel very shallow and probably untrustworthy here, and can never admit this to people like Paul Lay who carry tote bags with concert halls on. One day I would like to have a musical education. Either eating, drinking and talking with family and/or friends – or being lost in a book or film – both after a day of fierce endeavour. I like walking too, and therefore assume I am Elizabeth Bennet. As writers, Jane Austen, George Eliot, Alexander Masters (Stuart Backwards), Vikram Seth (Suitable Boy), Leo Marks (Silk and Cyanide), Arundhati Roy… many, many more. Sinky, my youngest daughter’s invisible friend. Although she’s not been around as much recently, as far as I can tell, she has given us all immense entertainment. Elizabeth Bennet is a close second. I do love lists but don’t choose to have one of these, but possibly milking a cow. I was once arrested twice in Sheffield on the same afternoon, by the same policeman. He didn’t quite shut the van door properly the first time. I was rather disappointed the second time, but in the long run it worked out well as that’s where I met several of my future boyfriends. Find out more about Clare on her website. 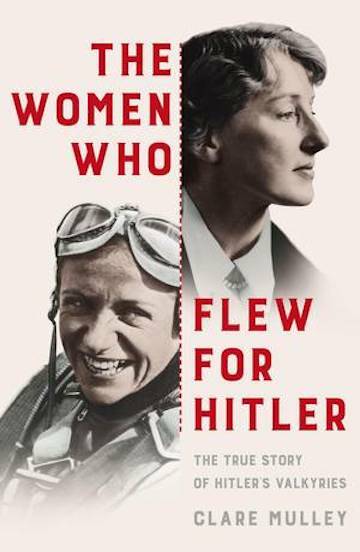 The Women Who Flew For Hitler is out now.